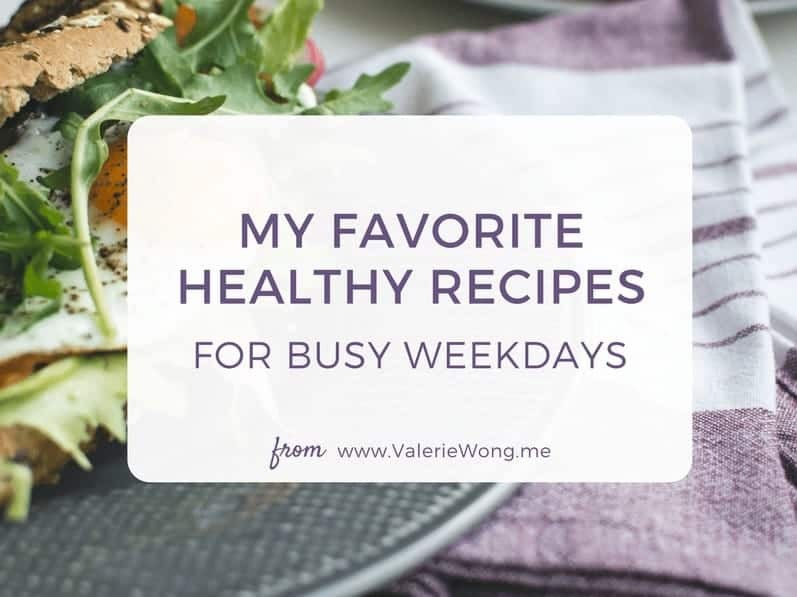 Here’s a collection of some of my favorite quick and easy healthy recipes for busy weekdays, so you can eat healthy and still have time to get the important stuff done. Last week, I shared 31 time-saving tips for cooking and meal-prep. As promised, this week I’m sharing some of my favorite quick + easy healthy recipes from around the web. These are some of my go-to’s when I’m short on time and need to get dinner ready fast, or want a breakfast or lunch that’s ready to grab and go. They’re a combination of recipes that you can pull together quickly with minimal prep and cooking time, and recipes that you can quickly prep and then set-and-forget in the Instant Pot or slow cooker. 4. Pork & Napa Cabbage Soup from Nom Nom Paleo is one of my husband’s favorites. It’s such a simple recipe, but really flavorful. I rarely eat pork, so I like to substitute ground chicken or turkey instead. I also use bone broth to add a little extra nutrition. 5. Blackeyed Pea Soup with Smoked Sausage and Collards from The Blond Cook is what we had on New Year’s Day to cover our Southern bases of blackeyed peas and greens, but it’s a super easy and delicious recipe for any time of year. 9. These Healthy Sloppy Joes from Simple Healthy Kitchen are an easy and healthy option when you’re craving comfort food. If you’re avoiding gluten, you can eat this in Romaine lettuce leaves instead of buns. 10. Slow Cooker Indian Curry Chicken from In Sonnet’s Kitchen is super easy to assemble and really hits the spot when you’re craving a warming creamy curry. It comes together quickly, but to save even more time, use pre-riced cauliflower (you can find it in many grocery stores in the produce or freezer sections). And while I’m sure the flavor is better by using the curry blend from the recipe, if you’re really strapped for time you could substitute a good curry powder for the spices (and save the time spent measuring out all the ingredients). 12. Serve this Salmon Salad by Simply Recipes in an avocado half or over fresh greens for a super healthy lunch. Using canned salmon instead of poaching it yourself makes this recipe come together really fast. 13. This Texas Caviar (which is basically just a blackeyed pea salad) is great served over fresh greens, and you can get a week’s worth of lunches out of it. I like to add chopped avocado to mine. 14. I think mason jar salads are one of the smartest things ever. If you haven’t tried them and worry they might not be filling enough for you, try this Chopped Taco Mason Jar Salad by Organize Yourself Skinny. It’s really hearty and you won’t feel hungry for hours after eating it. Plus you make this recipe once and you have lunches ready to grab and go for an entire week! 15. Overnight oats are another brilliant time-saving idea (how do people come up with this stuff? ), and these Chocolate Chia Overnight Oats from Begin With Nutrition are one of my favorites. I mean, you can’t go wrong with chocolate for breakfast! 16. If you’re a smoothie fan and you like spicy food, you’ll love this Spicy Chard and Pineapple Smoothie from Serious Eats. It’s super healthy and one of my favorites. Use frozen pineapple and frozen chopped chard (or kale or spinach) to save prep time. 17. Chia seed puddings are another quick and healthy make-ahead breakfast option. One of my simple favorites is my very own Mango Chia Seed Pudding. 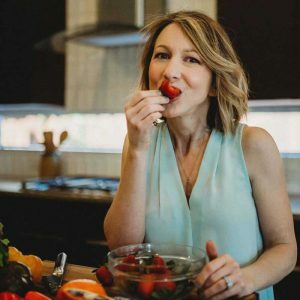 I hope this collection of my favorite go-to recipes for quick + healthy meals will help you save time in the kitchen so you can eat healthy and still have time to get the important stuff done. What are some of your go-to recipes for a quick and healthy meal? Please share a link in the comment section below — I’d love to try it! 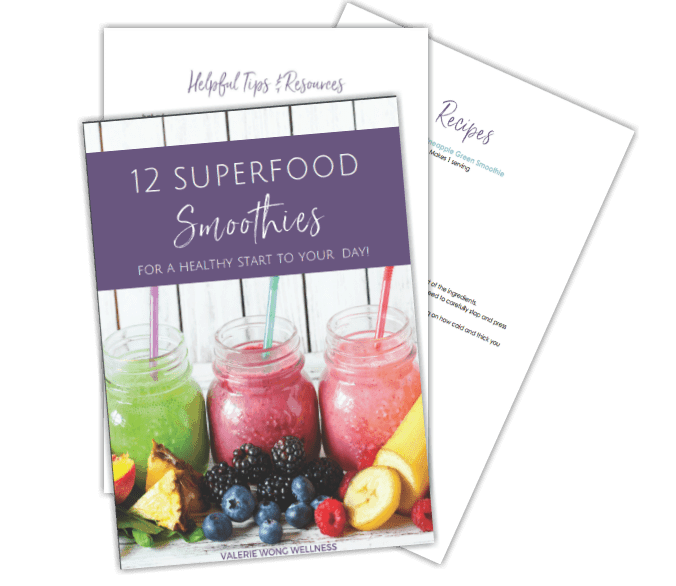 Great post Val, I’ve really been struggling with finding good healthy recipes don’t take forever to cook! I’m excited to try out some of these recipes! Thanks Jocelyn! I hope you enjoy them!